Inside: Looking for gifts for new moms? You’ll love these heartfelt and practical new mom gift basket ideas. Being a new mom is overwhelming. Thank goodness we have each other to lean on during those early days of motherhood. Encourage a new mother in your life with these genius gifts! 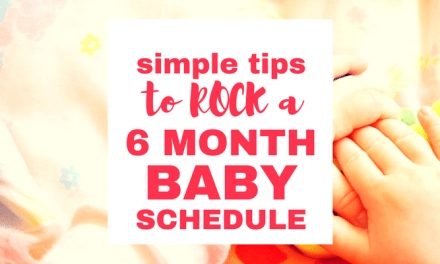 Do you actually remember those first few days and weeks after your baby was born? A friend of mine once told me “The days are long, but the years are short.” I never knew just how true this was until my son was born. Oh. My. Goodness. Talk about emotional. The highs and lows we experience as new moms are simply hard to put into words. As a brand new mom, I remember wanting to cry and laugh, sleep and celebrate, all in the same breath. Being a new mother is just plain hard work. 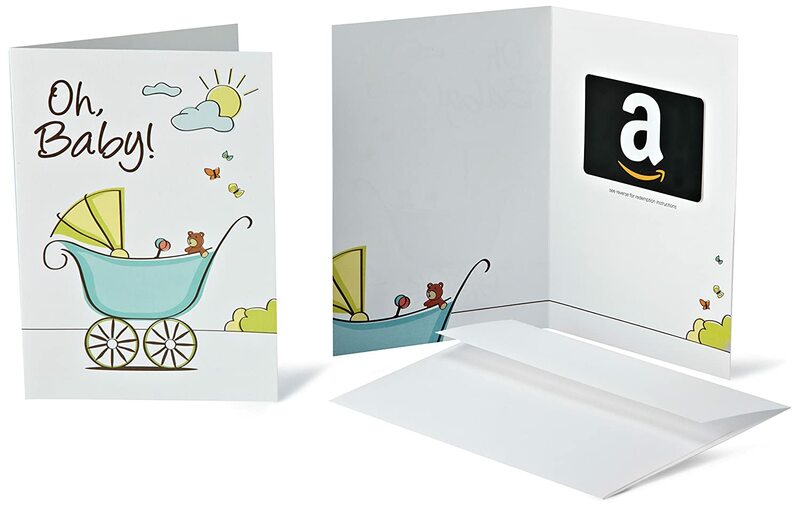 That’s why I love these gifts for new moms! Just pack a few in a basket and you’ll be ready to encourage and support her. Disclaimer: This post contains affiliate links. I earn a fee for qualifying purchases. Of course I only recommend products I know you’ll love! Along with a lot of prayer, the one thing that helped me look forward into the future was an abundance of real friendship to walk alongside me. Friends who brought me sweet new mom gift baskets. Friends who came over and showed me how to put the baby to sleep. Sisters who sat beside me as I nursed (and cried). My mom and mother-in-law who poured encouragement over me constantly. Want to keep spreading the love? 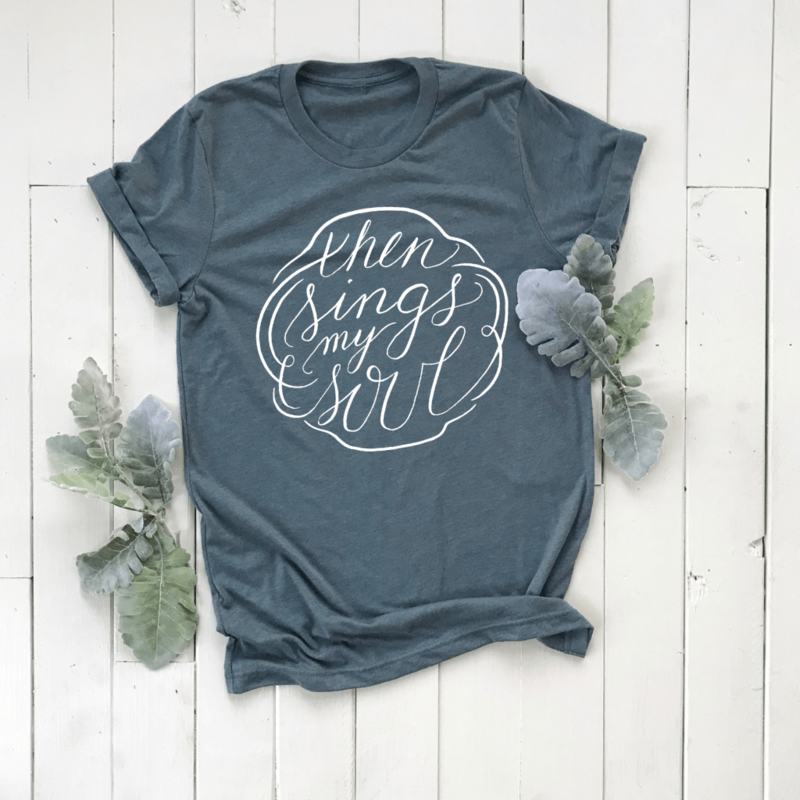 You’ll love these gorgeous gift ideas for Christian women! 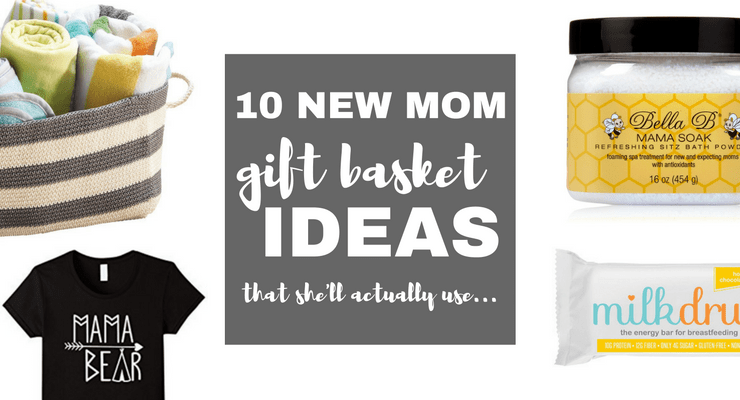 What do you put in a new mom gift basket? When you’re thinking about what to give a new mother, it’s important to strike a balance. On one hand, almost every waking moment of her day she will be thinking about the baby. But she also needs to learn to take care of herself, too! It’s a hard job for any mom. Try to include gifts just for her and also gifts for the baby. This will help her get off on the right track! Something to help her body heal. Something to help her mind relax. Something to feed her soul. Something to help her connect to the new baby. So, friend. 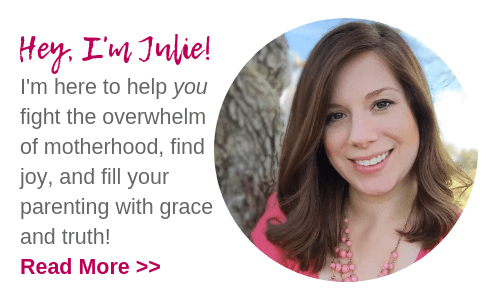 Are you ready to give encouragement to a new mom? 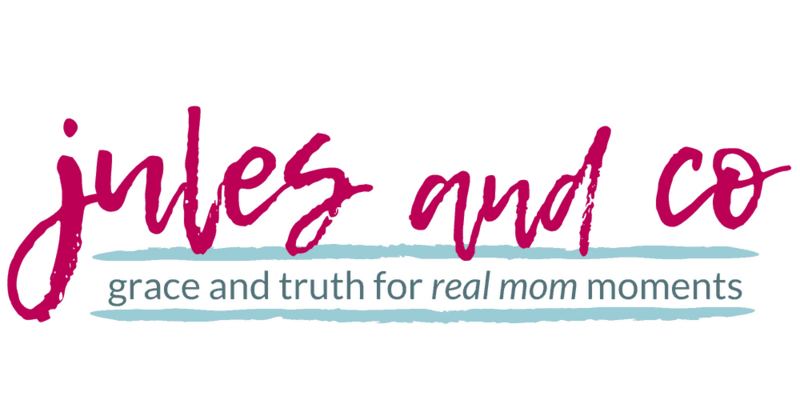 Read on for my top picks for gifts for new moms. Psst… she’ll actually want to use these! Let her know that she can do this. And you’re with her all the way. We can’t do it alone. Let’s do it together. This heirloom-quality journal is a sweet reminder for any new mom to savor the small moments. 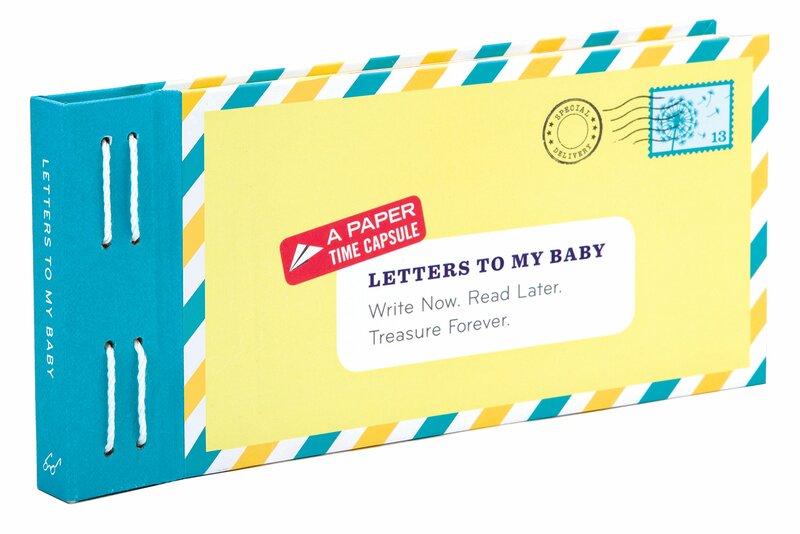 Each journal page features a writing prompt for mama to complete, then she’ll be able to seal up the envelope to deliver to her child when they’re older. How sweet! 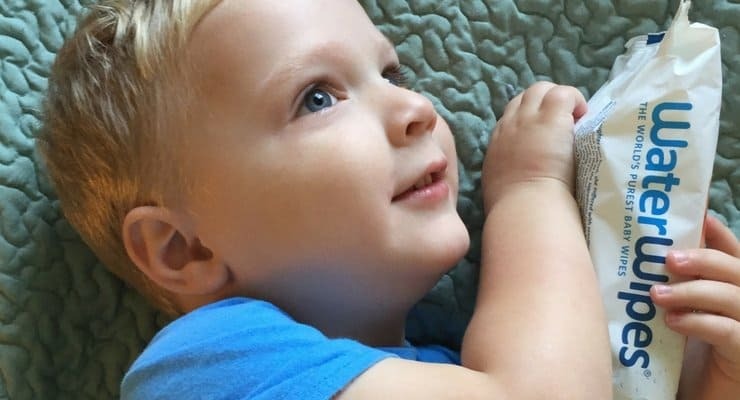 If you’ve ever had a small baby with a cold, you know how difficult it is to watch them sniffle and know that there’s just no medicine safe for them yet. They’re so tiny! My sister bought one of these nifty devices for her little guy when he was a baby. It’s just as gross as it sounds, but hey, it gets the job done! 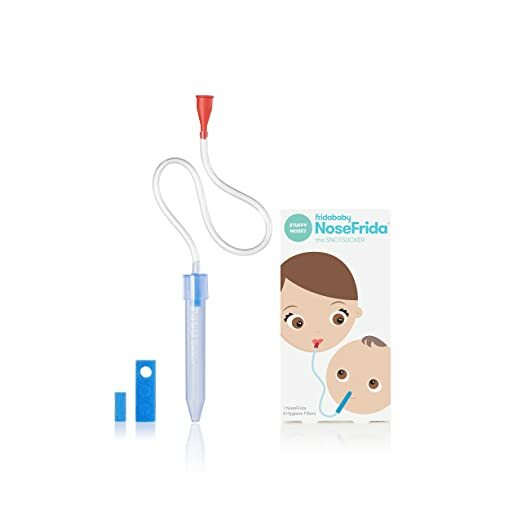 I used it for my second baby and it’s nothing short of miraculous. Any new mom will tell you that staying home with a brand new baby will wear on your nerves. Yes, those days are full of love and lots of memories, but sometimes mama needs to think about something else for a few minutes right? 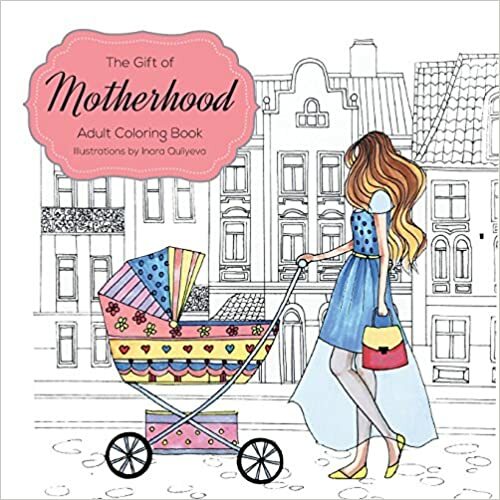 Help her find a few minutes of creative outlet with this cute coloring book for adults. 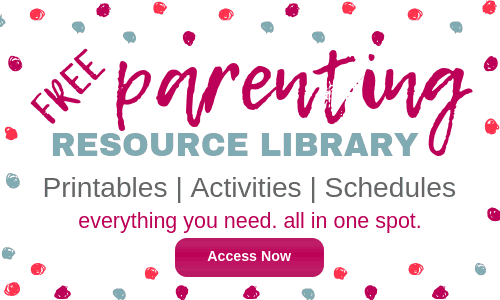 For the new mom who has it all… or the new mom who has no clue what she wants! 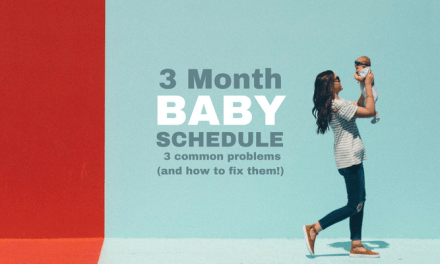 Watch the baby for an hour, help her get settled on the couch, and let her go shopping on Amazon! I can’t get enough of these sweet mama and papa bear coffee mugs! These would be perfect with a little candy or chocolate stuffed inside. Yes, please! For nursing moms, throw in some K-cups of flavored decaf coffee. 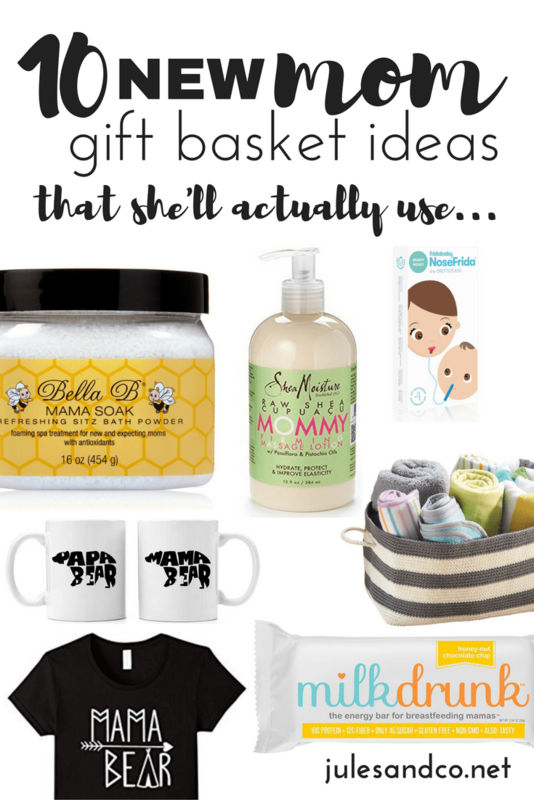 Don’t forget about an actual basket to put all these gifts for new moms! This cute and simple storage bin does double duty as as a gift basket, nursery storage, or a handy nursing station bag. New moms don’t get hungry. They get HANGRY. 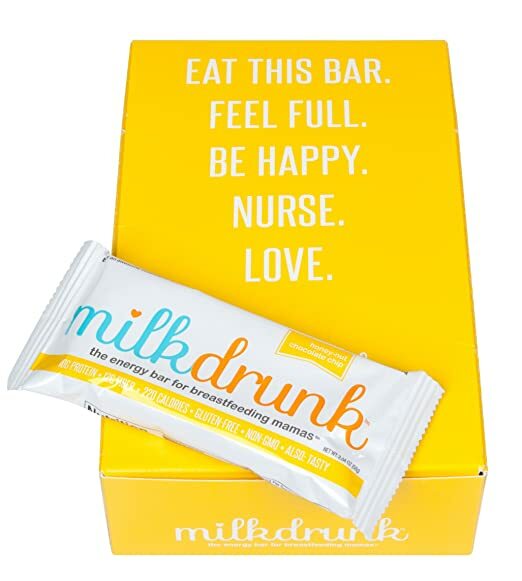 Keep her well fed and healthy with these yummy lactation bars. They’re safe for breastfeeding mamas, and help keep her energy up between meals. We talk a lot about self-care for new moms, but here’s the truth. Sometimes she’s just too tired to take care of herself! That’s where you can step in and take care of her. And good food is a great place to start! Have you ever noticed that new moms tend to forget all about themselves those first few weeks? Help her find just a few minutes of alone time. 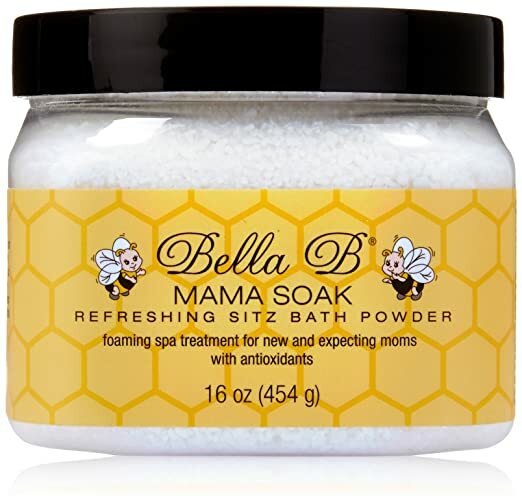 Pack this mommy-safe lotion with a few candles for a quick pick-me-up for the new mama. You could even take the baby out on a walk while she enjoys a warm bath! Give the new mom one last thing to help her relax and heal. Sitz baths are perfect for soothing tired muscles and helping her to heal up after delivery. Gifts for new moms should be super healing! Here’s one more gift for a new mother that will encourage her spirit! After nine months of feeling bloated and swollen, most new moms are ready to feel good about themselves again. A comfy and cute t-shirt is perfect for wearing around the house, and also for getting out for that first grocery trip with the new baby! What are your favorite items to give to new moms? 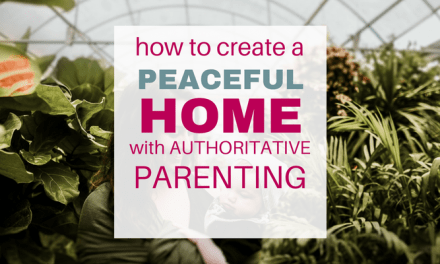 What advice do you have for helping and encouraging new parents?